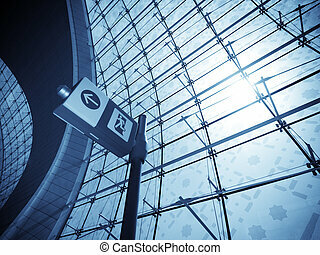 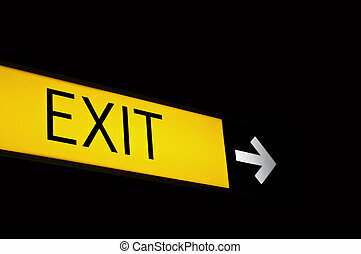 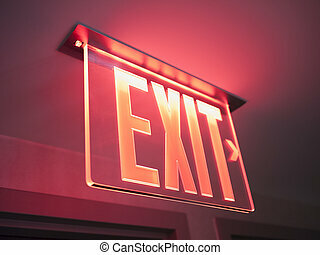 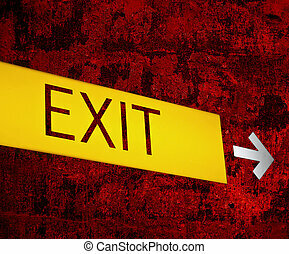 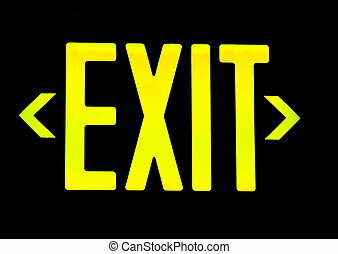 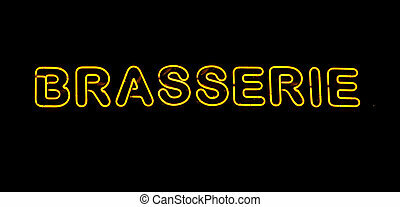 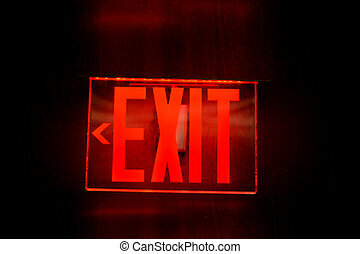 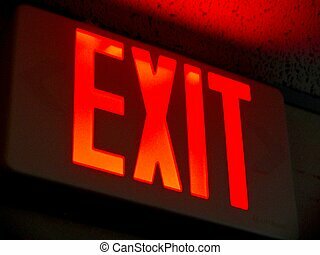 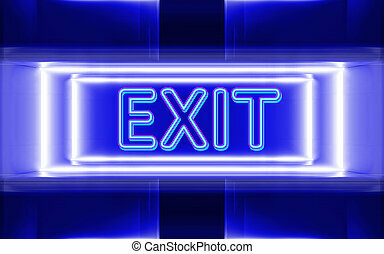 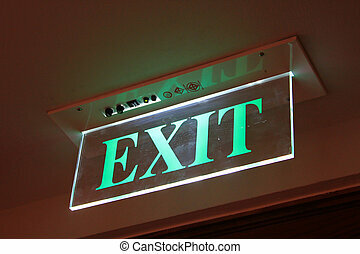 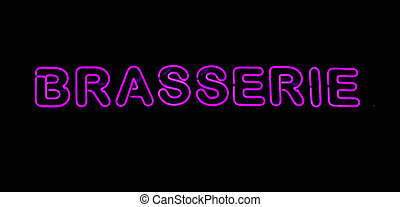 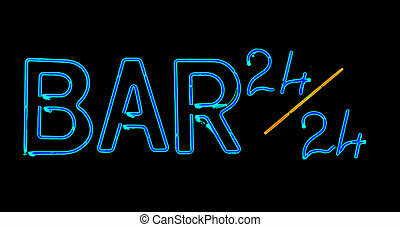 Exit neon sign. 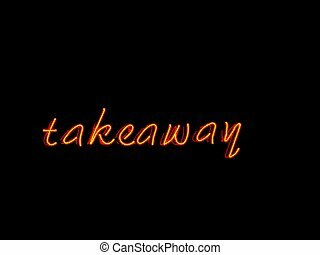 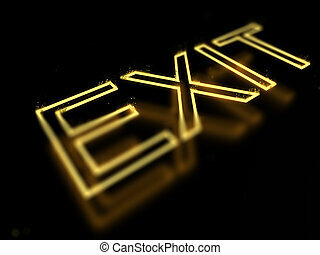 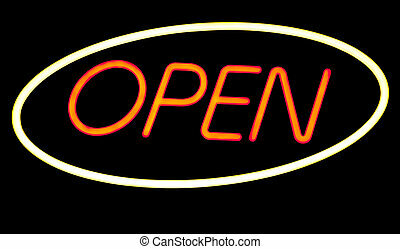 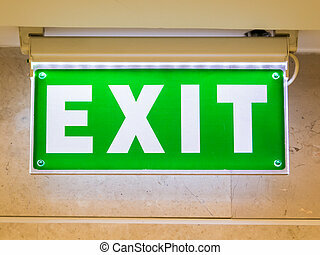 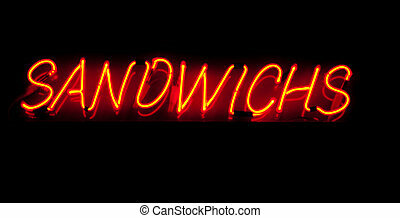 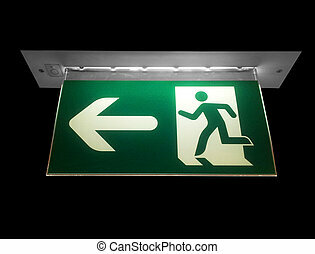 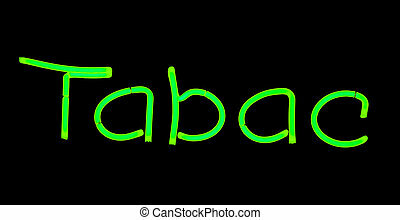 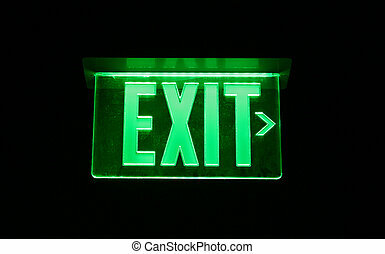 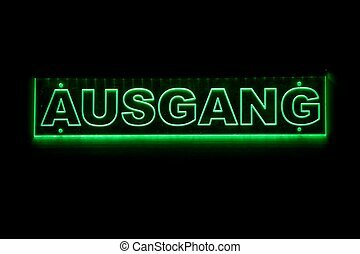 Green exit neon sign on black background. 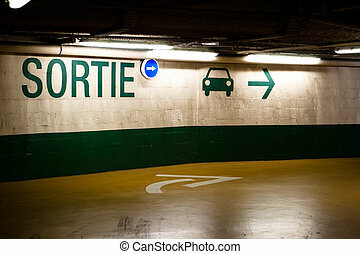 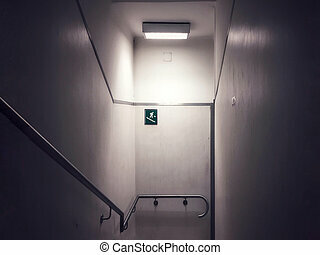 Exit sign in French parking garage.